﻿ Hotel Uhland, Windhoek | FROM $42 - SAVE ON AGODA! "Free wifi and the pool are a bonus." Have a question for Hotel Uhland? Whether you're a tourist or traveling on business, Hotel Uhland is a great choice for accommodation when visiting Windhoek. Only 2 km from the city center, the hotel's strategic location ensures that guests can quickly and easily reach many local points of interest. Also within easy reach are Old Supreme Court, Werth Lookout, Turnhalle. The facilities and services provided by Hotel Uhland ensure a pleasant stay for guests. 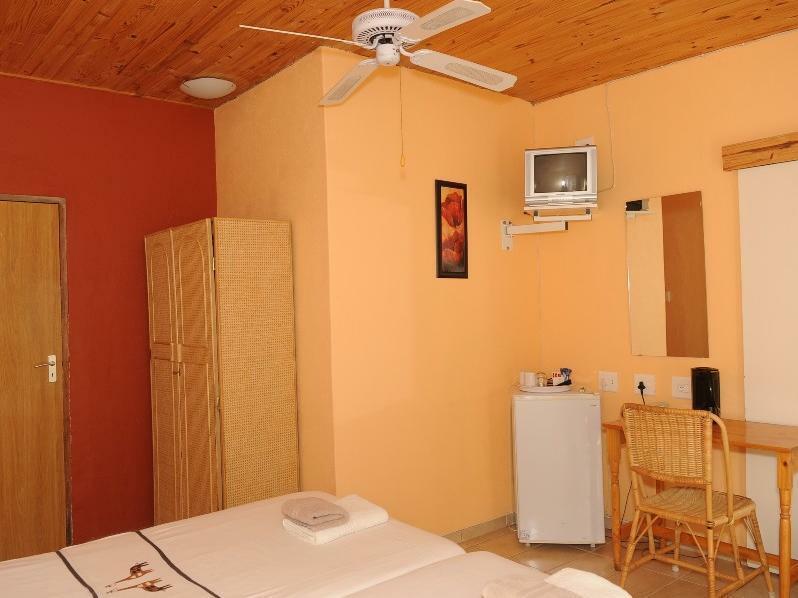 Top features of the hotel include free Wi-Fi in all rooms, Wi-Fi in public areas, car park, airport transfer, family room. Hotel accommodations have been carefully appointed to the highest degree of comfort and convenience. In some of the rooms, guests can find internet access – wireless (complimentary), non smoking rooms, air conditioning, heating, wake-up service. The hotel offers wonderful recreational facilities such as outdoor pool, garden to make your stay truly unforgettable. 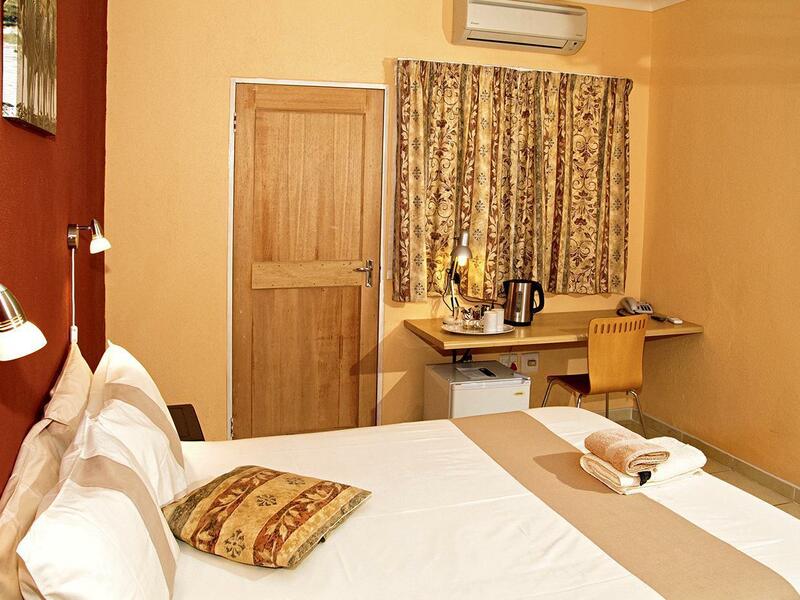 Whatever your purpose of visit, Hotel Uhland is an excellent choice for your stay in Windhoek. wifi a bit iffy at times. The staff at this hotel could not be more friendly it helpful. It creates a homely atmosphere, although not in a part of town where anything much is happening. Free wifi and the pool are a bonus. I stayed in 2 different rooms 2 weeks apart - some rooms are much better than others, in one I could hear every word of what was being said next door! Stay according to schedule with very helpful staff. The hotel is in a pleasant and quiet area, not too far from the center by foot, with taxis also easy to get from main Avenue Robert Mugabe. Breakfast is ok. My criticism is on the rooms with no aircond (as other hotels of this standard in WINDHOEK) and no air circulation as the only way to get some air is by opening the door ( or narrow windows). However WINDHOEK is pretty hot in Summer. Accordingly their high season rate from 16/7 to 30/11 seems too high and too long in such situation. So it is a question of ratio quality/ price much more expansive than in JOBURG for example. Though the location is a bit far from town, it locates at residential area and is quiet. There are also supermarket, mini shop, oil station nearby. The staff is nice and she could show you where you can shop. The room is spacious, tidy and clean. The chef can cook the local food and it is delicious. We really enjoyed our stay at the Hotel Uhland and would stay there again. Our stay was very nice! The hotel staff were super helpful! We had car trouble and immediately, someone was outside to help us. Everyone was extremely informative and we really enjoyed our stay! Central location, friendly and helpful staff and wonderful breakfast. Had a wonderful overnight stay at the hotel which is within 15 minute walk to the downtown area. Staff was very friendly and helpful. Room was clean; when I had a problem with the shower taps I was immediately relocated to another room. They are located within walking distance to several restaurants and they also offer a nice light dinner option at the hotel restaurant. They also have a small clean swimming pool with deck side lounge chairs. Gut: Nettes Personal, gutes Fruehstueck. Nicht gut: die Zimmer in den Nebengebaeuden muessten renoviert, Matratzen (steinhart) und Kopfkissen (Stockflecken) ausgetauscht werden. Nur Zimmer nah an der Rezeption haben Internet. Frühstück ist super, Personal nett! Personal sehr freundlich, kleines preiswertes Speisenangebot, Zimmer klein, aber ausreichend eingerichtet, leider kein Zimmersafe. Vor den Zimmer sind im Garten Tisch und Stühle vorhanden. erst 1 nacht, zum ende meines aufenthaltes 3 nächte im sehr gut gelegenen hotel. Ich fühlte mich sicher, genoss die ruhe, wlan, sehr gutes abendessen, saubere gute betten. Alles in allem ein nur empfehlenswertes haus. Badet noe slitt og mørkt,lite vanntrykk.